If you are a company that would like me to review or look into please e-mail sana.s.ansari@hotmail.co.uk with 'Company Review' written in the subject line. Include your contact details and a company overview and I will get back to you . 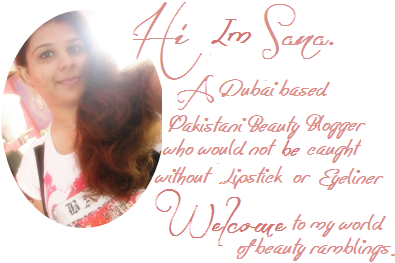 If you would like to do a give-away or discount for Sana's Ramblings readers email sana.s.ansari@hotmail.co.uk with 'Sponsor' written in the subject line with the same info as above. If you have an affiliate program which you would like me to be part of email sana.s.ansari@hotmail.co.uk with 'Affiliate' written in the subject line, again include your company overview and the conditions of the affiliate program and I will get back to you.